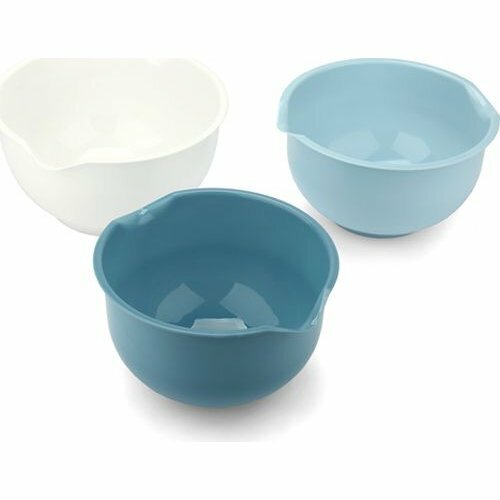 The trendy Inspire Mixing Bowl Set is made from PP Plastic and features non-skid bottom rings ensuring that your bowl is firmly placed on your counter while you mix your ingredients. Bought these for my mum, and she really likes them. They non-slip bottoms work well, food doesn't stick to the sides of the bowl, and they're easy to grip. The only con is that the measurements on the inside of the bowls are really hard to see.